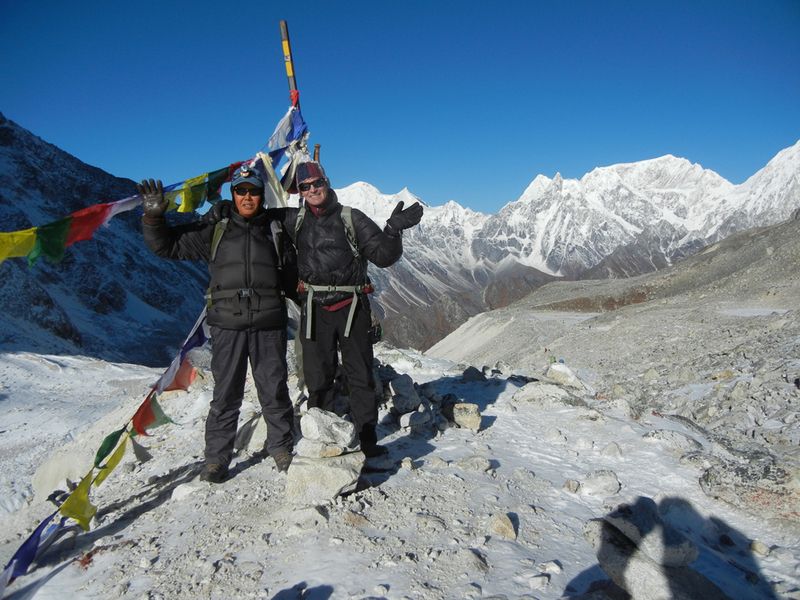 This helicopter supported trek is excellent opportunity for you if you have short vacation time and/or do not wish to walk the entire length of Manaslu trek. It is another less travelled trail that goes through terraced fields, beautiful meadows, lush forests, river valleys and snowcapped mountain scenery. This trek begins in Bhulbule in the foothills. 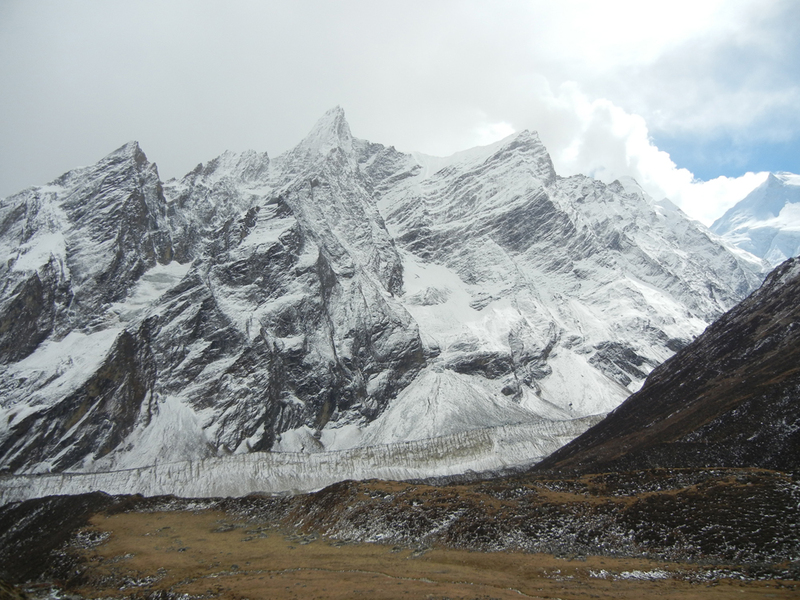 We will hike along the Marshyangdi River to Dharapani following the Annapurna Circuit trail and then eastward along the Dudh Khola (river) which begins at Larkya Glacier on the Westside. While hiking in the lower foothills, we will see mixed ethnic groups, and in the upper foothills the Gurung and Magar ethnic groups until around Bimthang. On the eastside are Tibetan ethnic groups who are Nepali nationals today; however, their main cultural practice is Tibetan in every aspect of the life they live. 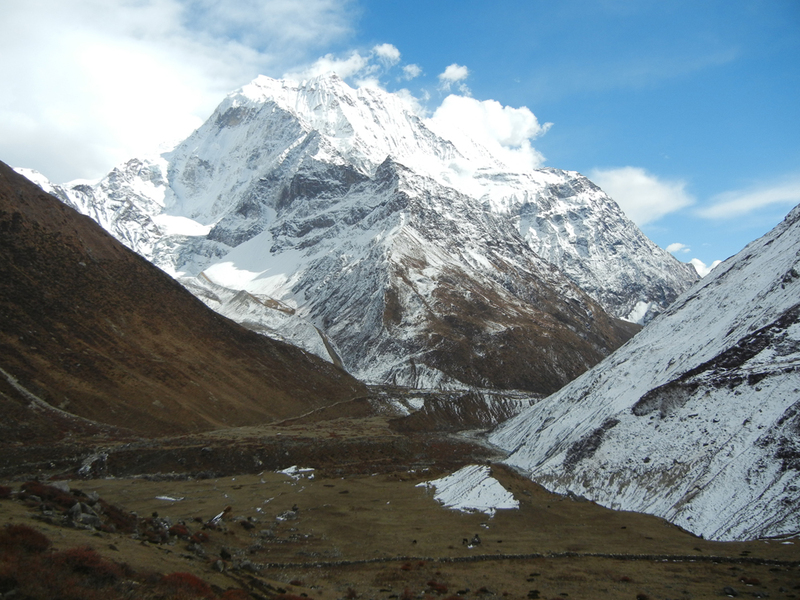 They dwell in villages in the upper Manaslu valleys and lead traditional lifestyles. They raise Yaks, sheep, horses and other life stock. They practice limited farming in challenging soils and climates that include potatoes, barley, buckwheat, radish, and mustard greens. The cultural heritage and bonds continue and enhanced with their ongoing trade with Tibet. Breakfast at hotel and travel overland to Bhulbule for about 6-7 hours depending on traffic. We will stop en-route for lunch. 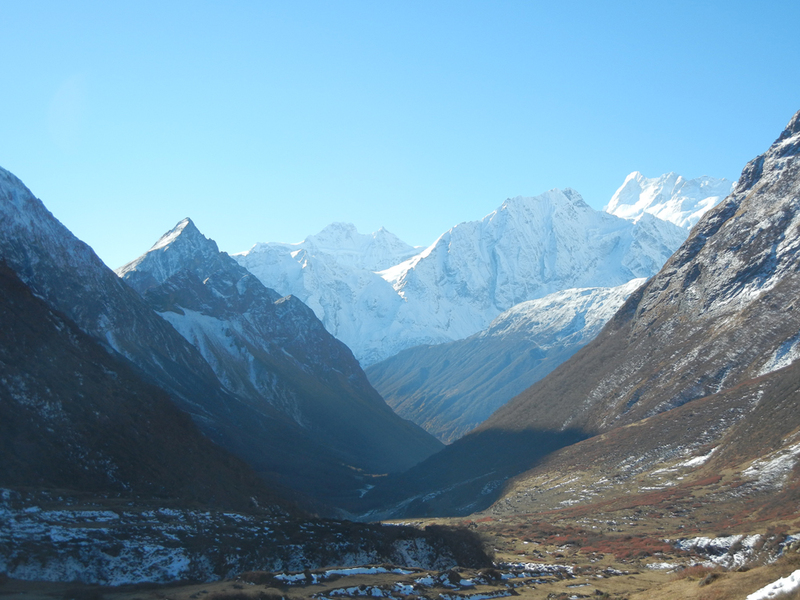 Bhulbule is a small town located at the bank of the Marshyangdi River and surrounded by scenic farmlands and villages. It is much lower than Kathmandu Valley. Overnight in Lodge. Breakfast and then trek along the Dudh Khola gorge to Gho. We will stop for lunch in Tilche Village, which has a medieval appearance. 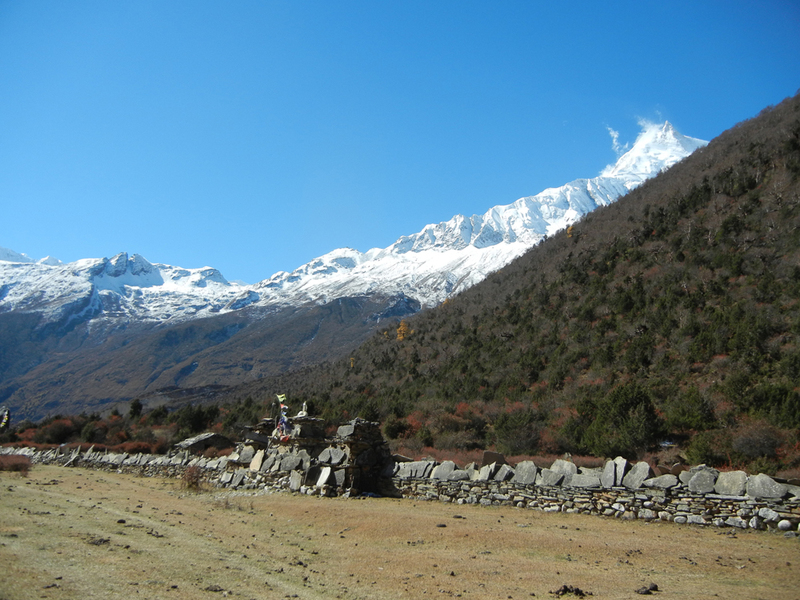 It is Gurung and Tibetan ethnic village surrounded by beautiful forests and farmland below the sheer rocky walls. 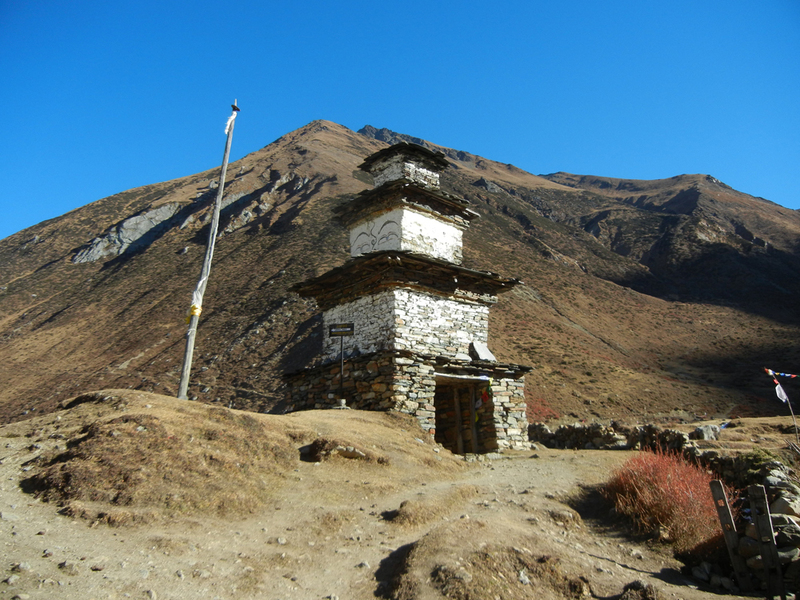 After lunch, continue trek to our evening stop in Gho. 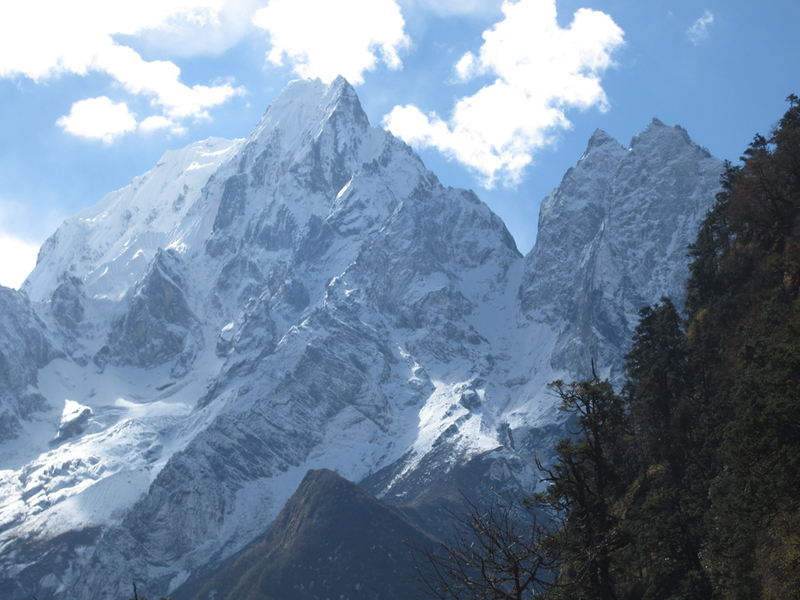 Breakfast and then hike along the Dudh Khola and through the scenic forest trail. It is a gradual upriver valley hike with several small uphill trails. 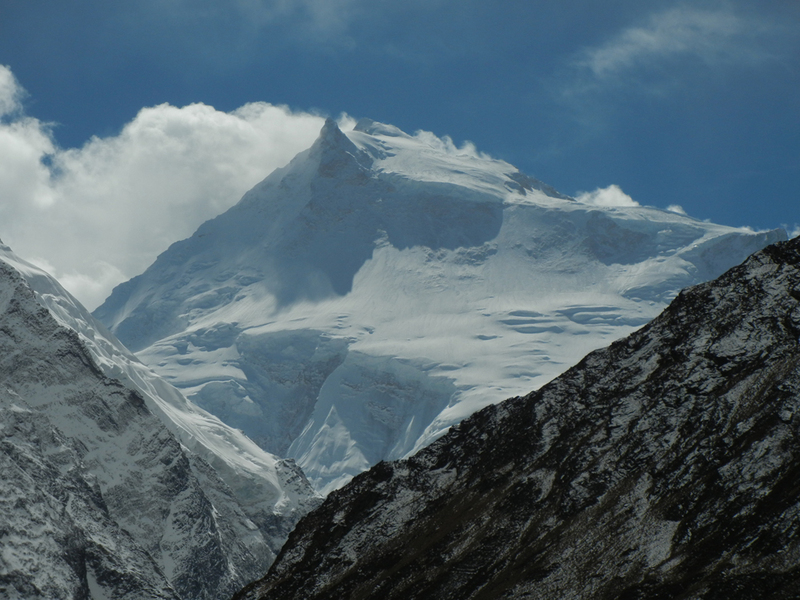 En route, we will see Manaslu’s northwest ridge, Pungge Himal, Purdi Glacier and scenic views. 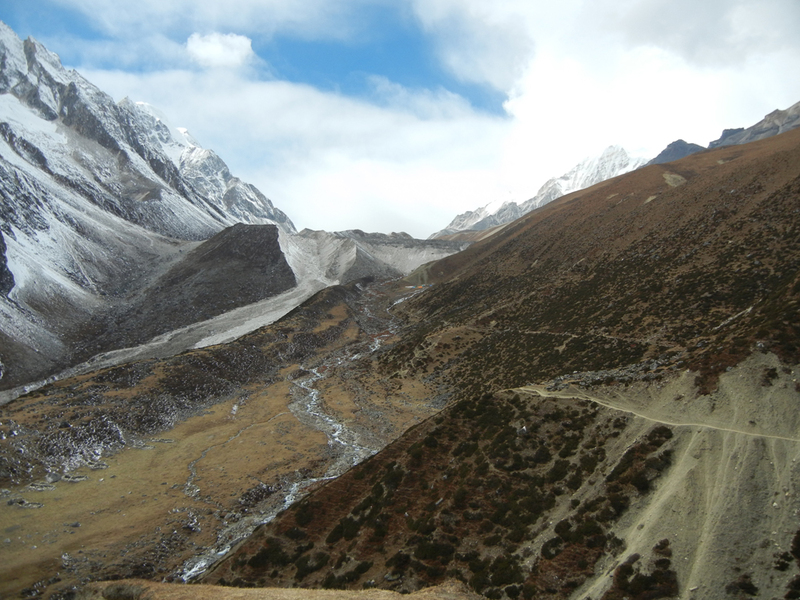 Late Breakfast and trek uphill to Larche, Larkya Pass base camp on the Westside. We will walk in the surrounding hill to the southeast to enjoy an excellent view of the valley and Manalsu. 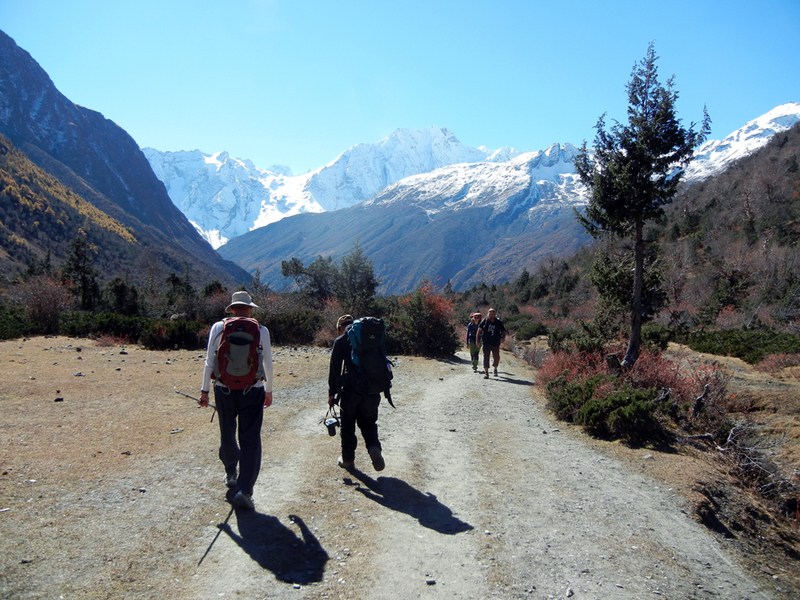 We will wake up early morning, eat breakfast and trek up the moraine glacier trail. 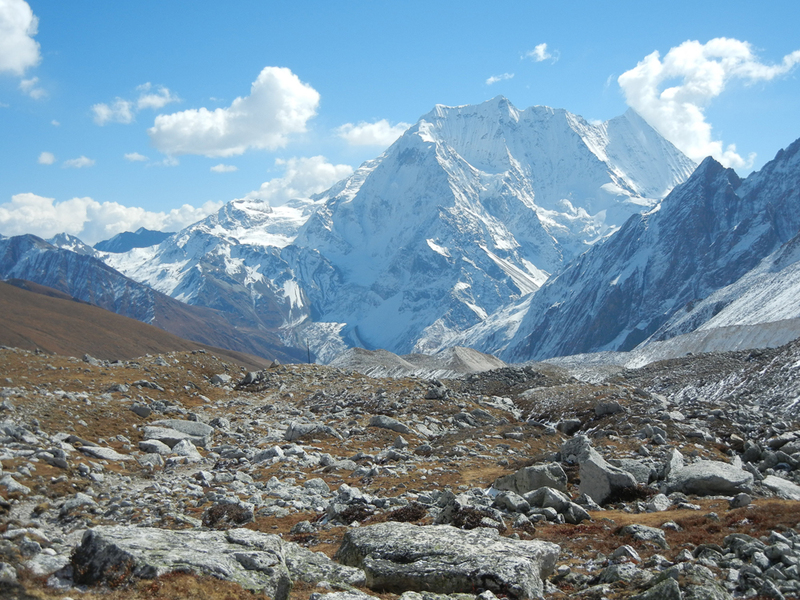 We will reach the Larkya Pass (16,925ft) around 9:00AM, enjoy the stunning views on both sides of the pass, celebrate and then trek downhill to Larkya base camp (14,629ft) on the eastside. We will stop here for tea and coffee to warm up and then continue hike downhill to Samdo overnight. We will eat breakfast, and hike along the most scenic Burignadaki River to Sama Gaon, which is the biggest village in the area. 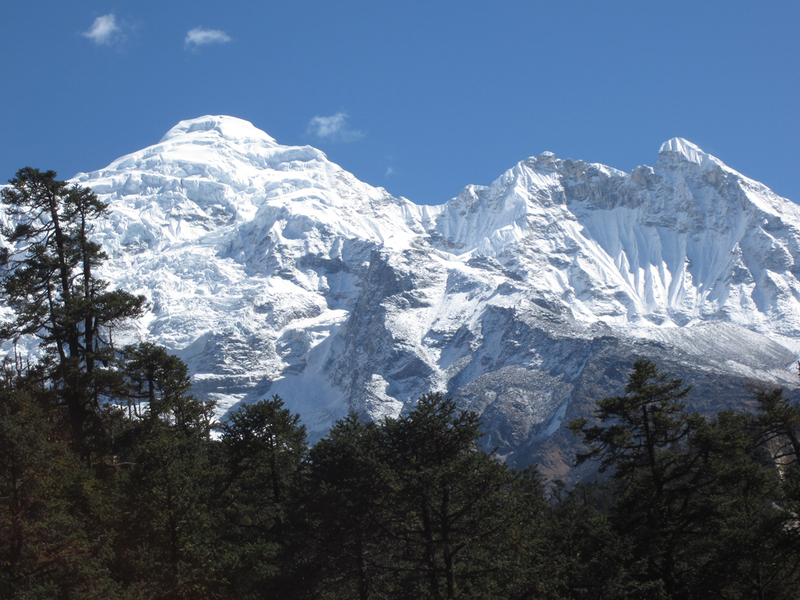 We will have an excellent view Manaslu and Himal Chuli peaks above the beautiful valley. We will each Sama for lunch and then explore its village and monastery in the afternoon. After breakfast, hike through the scenic trail to Lho. It is a beautiful walk through open space and forested area. It is mostly downhill and straight trail rest of the day. Breakfast and prepare for helicopter flight to Kathmandu. Options today are shopping or visit some of the attractions of Kathmandu Valley you have not seen yet.